Let us get right into it. The greatest player in the world has signed with the Los Angeles Lakers. The summer of LeBron I call it began and signs of it happening was written on the wall. LeBron owns a home in Los Angeles, has entertainment ventures moreover there were echoes of his son being enrolled to play basketball at a prominent high school in Los Angeles. Paul George did not join “The King,” remaining with the Oklahoma City Thunder; can he take down the Golden State Warriors without George? Especially since they are both in the Pacific division in the Western Conference, I will dive into that in a minute. 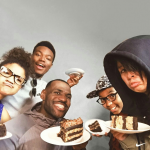 No one is scrutinized like LeBron James in sports. No one. Expect it to be even more magnified. There is no way around it signing for one of the greatest NBA teams. In his 15th season, James played a full 82 game regular season and put together one of his greatest seasons playing for the Cleveland Cavaliers who was the least talented teams he carried to the NBA Finals. It is one of his most significant achievements, but he has raised the bar even higher now. Winning is fragile it looks like it can go on forever, but you never know what can get in the way. There are obstacles in his way out of the Western Conference. This signing does not have the magnitude in comparison to when he signed with the Miami Heat. This magnitude is different going to LA because, except for Elgin Baylor who retired nine games into the 1971-72 season, because of his nagging knee problems, the Lakers did win a championship with Jerry West that season. Every superstar who has worn a Lakers jersey has delivered a championship. It will not happen the first season, but The King does not want to be the player that took their talents to Los Angeles and does not deliver a championship. The Lakers did give Baylor a championship ring, even though he had not been an active player. George Mikan, Wilt Chamberlain, Jerry West, Kareem Abdul-Jabbar, Magic, Shaq and Kobe not including everyone else in between. Every franchise player who donned the purple and gold has delivered a championship. That is what makes this story unique and the magnitude different. Magic Johnson was at LeBron’s doorstep at 9:01 Pacific time, one minute after midnight to acquire the athlete of this generation. It was an enormous move for James, the Lakers, and the NBA. There is something about LA, the west coast, the Showtime Lakers and Hollywood for LeBron James. The signing is more significant than winning a championship. Joining the Lakers is planting his flag in Hollywood and the entertainment industry. Magic Johnson is not just running basketball operations in LA. Instead, James will see him as a mentor, a guide for what the three-time NBA champion wants to do for the rest of his career and beyond, it all makes sense. The Lakers have acquired some interesting players around LeBron. Lance Stephenson, Javel Mcghee, except for Rajon Rondo, James enjoys playing with high IQ players. The guys around him raise questions; though they are one-year deals, this team can go south if these personalities and plan fail. Keep in mind Magic Johnson consulted LeBron on acquiring these players around him. LeBron has played his entire 15-year career in the Eastern conference playing for the Cavaliers and the Miami Heat. 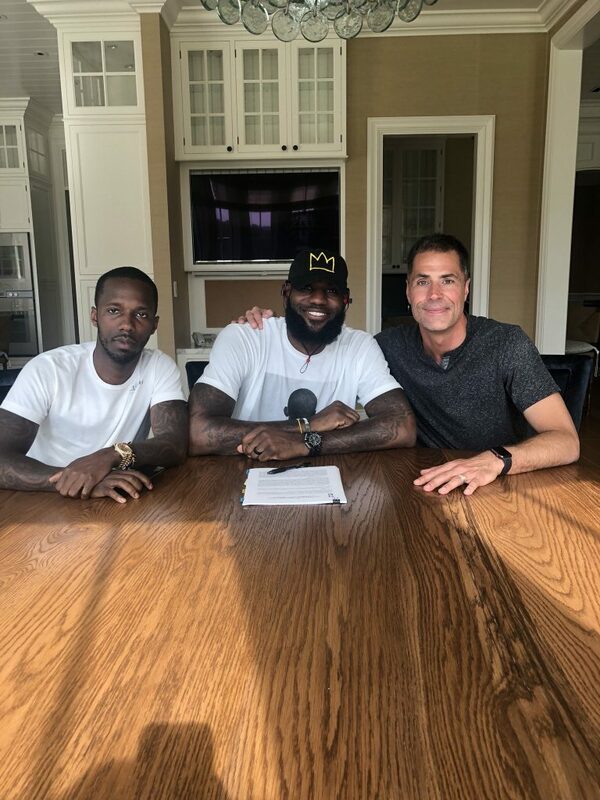 The contract is the most extended deal he has signed since his six-year deal with the Heat; the Lakers deal is a 4-year contract with the fourth being a player option. In Cleveland, James has always been a difficult player to coach for obvious reasons; he made a difference on the floor and his opinion on what goes on in the organization. Things will be fine in LA because there will not be that same disagreement he had at times with Cavaliers owner Dan Gilbert. Not including the letter, but culturally politically except economically, they were different people. Warriors remain the odds favorite on favorite to win the NBA title next season. The Eastern conference is going to be hard to watch this upcoming season with lousy basketball for the taking. The west is formidable. Fans will be tuning in to watch the Lakers, Warriors, Houston, Oklahoma City will be interesting, Denver is going to be a sneaky team.